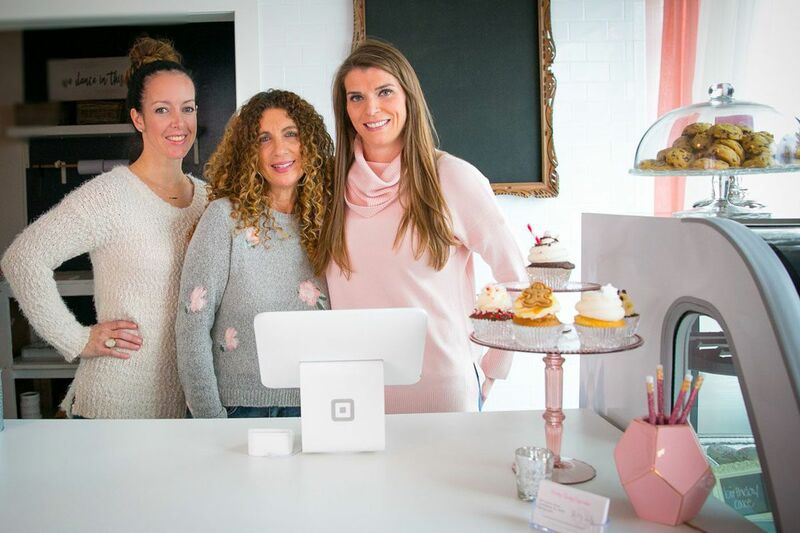 The owners of the Conshohocken location of Pretty Tasty Cupcakes are (from left) Erica Young, Kim Strengari, and Gabby Wallace. Erica Young's Pretty Tasty Cupcake Boutique in Cape May will grand-open a branch this weekend at 1602 Fayette St. in Conshohocken, in a new partnership with Kim Strengari (who owns the restaurants Gypsy Saloon, Southern Cross Kitchen, and Gypsy Blu) and Gabby Wallace, a corporate catering and event planner. Seeds for the partnership were planted last summer, when Strengari walked into the shop in Carpenters Square Mall last summer and bit into a cookie dough brownie cupcake. Baked goods by Pretty Tasty Cupcake. The new Pretty Tasty Cupcake will retain Young's peanut- and nut-free philosophy. Young began baking after her son Nevan was diagnosed with a severe allergy. After friends raved about the cupcakes, she made the leap from work as an event coordinator at a Cape May restaurant to full-time baker. Head baker Ali Albini will oversee six flavors to start in Conshy, along with daily selections: chocolate salted caramel, sugar cookie snowflake, pink champagne, lemon berry, hot cocoa, as well as cookie dough brownie. Flavors will change seasonally. The shop also sells chocolate chip cookies and macarons. Hours are 11 a.m. to 6 p.m. Tuesday through Friday and 9 a.m. to 3 p.m. Saturday. Phone: 484-533-3557.